The Rookie of the Year award was first handed out in 1947 to Jackie Robinson, after he broke baseball’s color barrier and went on to have a great first season of what would become a Hall of Fame career. Given out to a single player again in 1948, the award was expanded in 1949 to include a player from each league, and has been that way ever since. Two writers from each city of both the American League and National League make up the Baseball Writers’ Association of America (BBWAA) voters for the Rookie of the Year award, making a total of thirty voters for each league (fifteen teams, with two voters per city). A first place vote earns a player five points, a second place vote gets three points, with a third place vote receiving one point. Once added up, the player with the highest overall total wins. For a player who made his MLB debut two full months into the season (June 8th), Carlos Correa put up unbelievable stats in 2015. The former number one overall pick in 2012, Correa batted .279 with 22 home runs and 68 RBI’s, all while stealing 14 bags to boot. Carlos Correa received 17 of the 30 first-place American League Rookie of the Year votes, for a total of 124 points, to edge out runner up Francisco Lindor, with his 109 points, and Twins’ slugger Miguel Sano, with a mere 20 points. 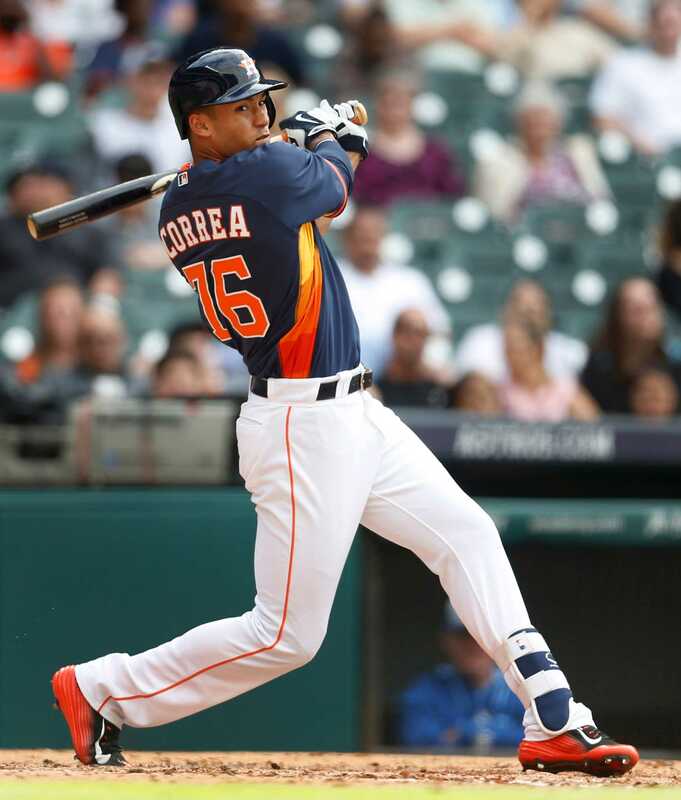 At just 21 years old, Correa was the youngest position player in the big leagues this season, and with him still learning how to go about life in the big leagues, he will only improve as the years go on. Correa became the 14th shortstop in history to win the award, and is just the second Astros player to earn the honor, joining Jeff Bagwell who won back in 1991. Although some players have posted great rookie seasons only to go onto have poor MLB careers, it’s safe to say that Carlos Correa is bound for many more historic seasons moving forward. Kris Bryant’s journey to the major leagues was a short one, going from first round draft pick in 2013 to MLB All-Star this past season (Joc Pederson was the only other rookie in the Midsummer Classic). Furthermore, in the minds of many, it was Bryant’s performance all season long was one of the many key factors that helped carry the Cubs to the postseason. Winning the National League Rookie of the Year by a unanimous vote (just the 20th such player in history), Bryant follows in the footsteps of fellow Chicago slugger Jose Abreu, who won the American League Rookie of the Year last season, earning all 30 first-place votes. Bryant batted .275 with 26 homers and 99 RBI’s this season (breaking both the homers and RBI’s mark for a Cubs’ rookie), and, despite his league-leading 199 strikeouts, was truly the only logical choice for the award. He was consistent for the most part throughout 2015, and came up big each and every time the Cubs needed him to. Picking up each of the 30 first-place votes, Bryant’s 150 points overall easily carry him past the runner up, Matt Duffy, who picked up 70 points, and Jung Ho Kang, who placed third, with his 28 overall points from the BBWAA. 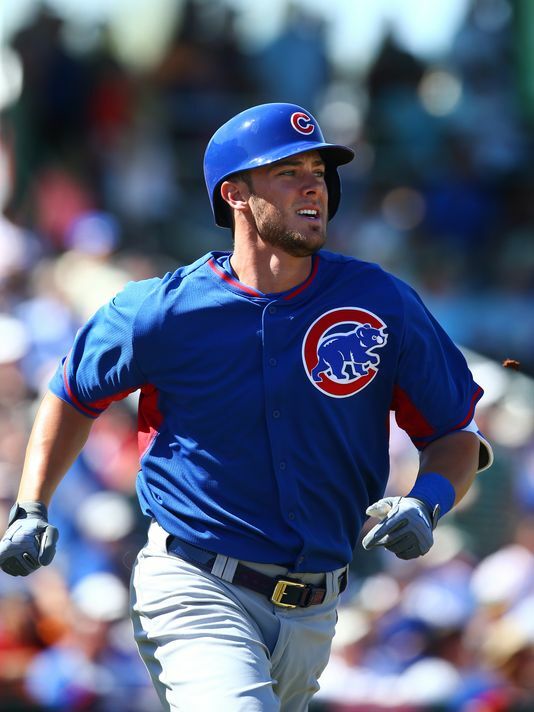 As with Carlos Correa, the newest Chicago Cubs’ superstar, Kris Bryant, will likely only get better as time goes on. It should be interesting to see how Correa and Bryant, and their respective teams, fare over the next decade or so. As I stated in my American League Rookie of the Year post, watching young players succeed upon their first year in the majors is always fun. Though it never guarantees that any given player will carry that early success throughout their career, it’s always a good indication of which players are going to be stars for years to come. We certainly had a fair share of those type of players in the National League this season, with players such as Justin Bour, Joc Pederson, Matt Duffy, Jung Ho Kang, Kris Bryant and Noah Syndergaard all having seasons worthy of recognition. However, in the end, only one player can win the coveted Rookie of the Year award. Joc Pederson began the season on a tear right out of the gate, but he saw a tremendous downfall in his stats as the season went on, especially in the second half. His 25 home runs are impressive, but his .210 average (the lowest of all National League rookies) is definitely not. Therefore, he won’t be getting the award. Another player who had a noteworthy season but not an award worthy season is Matt Duffy. All season long, Duffy was an impactful player for the Giants, notching 76 RBI’s all while hitting a cool .296, but he doesn’t even finish in the top three or four in my mind. Likewise, Jung Ho Kang (15 homers and a .287 average) and Noah Syndergaard (3.24 ERA with 166 strikeouts) each had a big impact on their respective teams, but neither of them will take home the top rookie honor for the NL. Even so, both helped their teams make the playoffs, and both should be big impact players moving forward. Justin Bour would likely receive more consideration if he had recorded a higher batting average, as his 23 home runs and 76 RBI’s are impressive. Bour also held the unique ability of coming up big for the Marlins throughout the season, but there was one player in the National League who simply didn’t give any other player a shot. 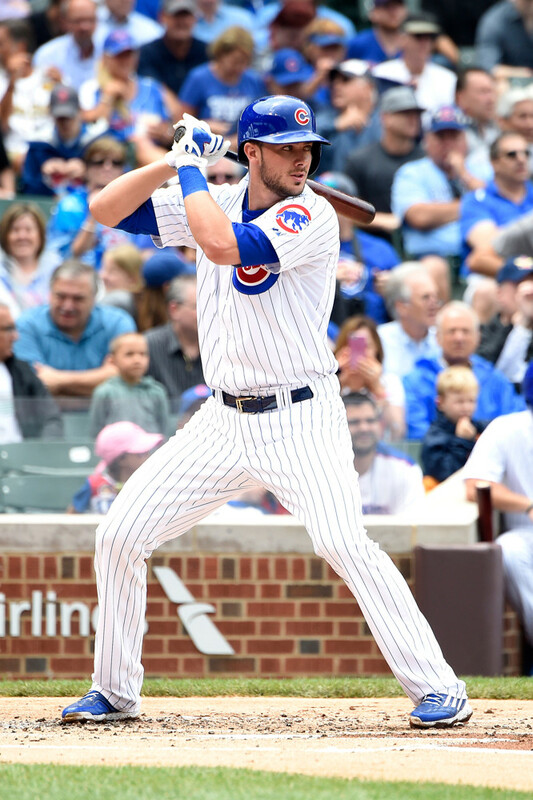 There is absolutely only one choice for the National League Rookie of the Year award for 2015, and that’s Kris Bryant. Although he struck out nearly 200 times, Bryant came through for the Cubs more often than not this year. He was in fact a big reason they made it to the postseason, recording 26 homers and 99 RBI’s for 2015. As he begins to gain more experience, expect his numbers only to grow more an more. It’s truly amazing the talent level that Bryant possesses.